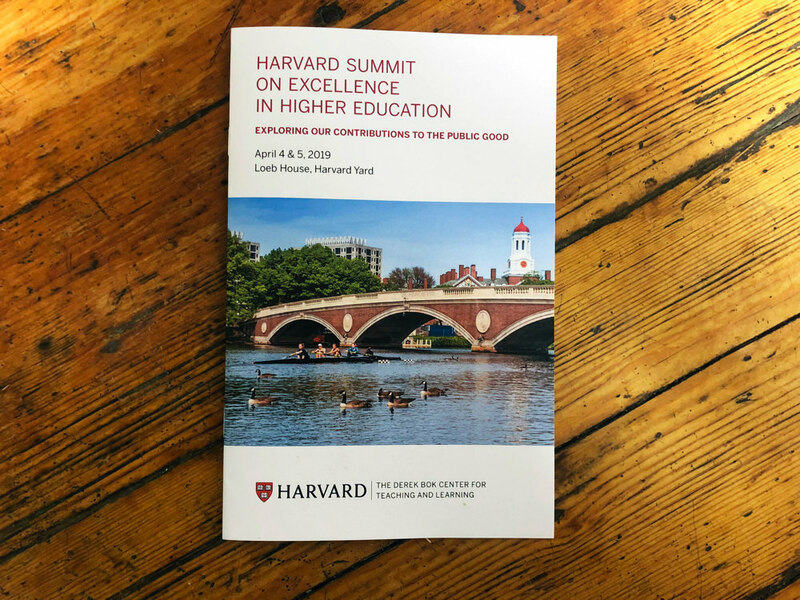 So it was timely and pertinent for the second Harvard Summit on Excellence in Higher Education, planned during the last year and convened April 4-5 at Loeb House, to focus on “exploring our contributions to the public good.” Like the first summit  (held in the fall of 2017, and focused more internally, on diversity and academic inclusion on campuses), the second one brought to Cambridge representatives from a score or so colleges and universities (largely private, highly selective institutions, but also including a few public flagships and others) and associated figures. He then reprised many of the themes he has been sounding since February 2018, and indeed well before he was named Harvard president . The first complaint about higher education, he said, is, “It’s too damn expensive,” for reasons he has researched—most prominently, that “all the pressure is to do more” in terms of adding courses of study, extracurricular activities, and student supports. In response, he said, leaders “need to think hard about how we frame choices,” so constituents understand, for example, that funding three more clubs would have to come at the cost of removing financial aid from three students. During a dinner address, Harvard College dean Rakesh Khurana put its mission  in the context of plummeting confidence in government and the public sector, and the perception that efforts to make higher education meritocratic had devolved into a “testocracy” that confers “advantage on those schooled to excel.” The College, he said, is working hard, in the spirit of Bacow’s inaugural emphasis on public service, to develop new channels for students to engage in that work, extracurricularly and in the classroom. Bryan Garsten, professor of political science and the humanities and chair of the humanities program at Yale (and the author of Yale NUS’s innovative liberal-arts curriculum ), described a different kind of community engagement—and its startling effect on his own teaching. Having engaged in global outreach in Singapore, he said, he began to wonder about opportunities to extend humanistic learning closer to home. Inspired by a high-school summer program pioneered by Roosevelt Montás, director of Columbia’s core curriculum, Garsten and a graduate student arranged for New Haven teachers and librarians to nominate thoughtful high-school students for a two-week summer residence at Yale. They sought not the “best” students, who were already ticketed for the most selective colleges and universities, but a dozen capable learners.